Peter F. Demers investigates the declining bee population and one man’s attempts to find a solution. Growing up in Fairfield, Connecticut, Noah Wilson-Rich was not a kid who was into bugs or insects but he was very interested in biology and science leading him into a pre-med program at Boston’s Northeastern University. While there he realized he wanted to move into a profession that allowed him to spend time outdoors and not confined to the interior of a medical facility. Finding a doctoral program at Tufts University in Biology, he took his interest in medicine to begin a program that studied diseases in honeybees. While at Tufts, he began to understand the seriousness that the rapidly declining population of honeybees presented to our society and way of life. While research on why the decline is occurring is going on throughout the world, no one had been able to get a grant to develop a vaccine that would arrest the decline. Since Dr. Wilson-Rich believed that vaccination was a viable way to affect the decline, he began a non-profit business, Best Bees Company in January 2010, as a way to fund his research and at the same time provide a service to beekeepers and prospective beekeepers. 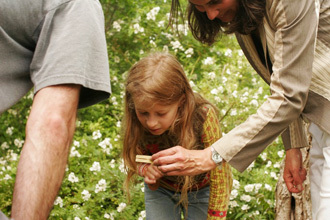 Best Bees provides and manages honeybee hives to gardeners in urban, suburban and rural habitats. Unlike a bee distributor who merely provides bees to customers, Best Bees delivers, installs and manages the hive. Best Bees provides a complete service. They will buy the bees for you, install an already inseminated queen, construct the hive using local, chemical free materials like white pine from Maine, and install three pounds of honeybees (approximately 10,000 bees!) 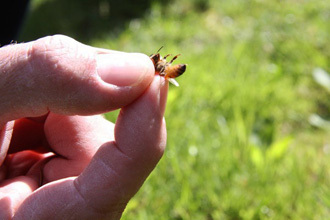 that includes the pre-mated queen, several thousand worker bees who are all female and several hundred male drones. 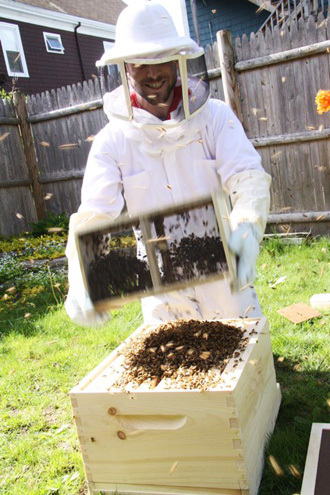 Best Bees’ on-going management of the hive includes both disease and swarm prevention. Interestingly, bees tend to swarm when their living space becomes overcrowded, so regular maintenance of the bee population is essential to the success of the hive. Best Bees will also harvest the honey and beeswax. With the decline of the honeybee population through Colony Collapse Disorder (CCD) one of the most important services provided by Best Bees is through education and disease prevention. The cause of CCD is still a mystery that is being researched all over the world. Researchers can’t even find dead bees to try and figure out what killed them because CCD is characterized by a baffling absence of adult bees from an otherwise healthy hive. The decline of the bee population has potentially disastrous effects on crop production of all kinds. Since bees are pollinators, CCD and fewer bees affects crop production and the cost of foods of all kinds. One example being felt by consumers and food processors alike is that the dramatic rise in the cost of almonds because of fewer bees pollinating the crops. Dr. Wilson-Rich is committed to trying to stem the decline of the bee population and educate the public about the importance of honeybees to our eco-system. Many people are not familiar with some basic information about the bee population. 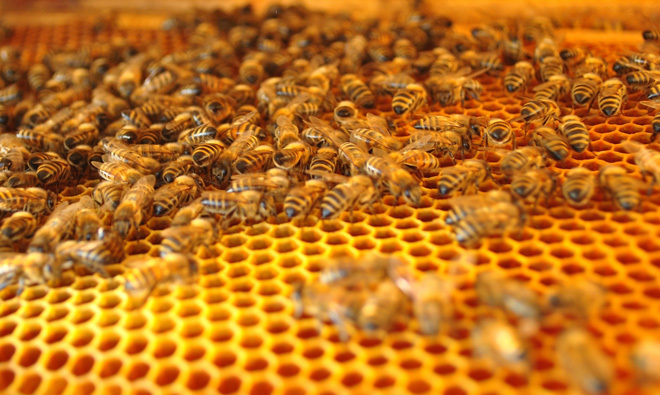 For example, a hive of over 10,000 bees has only one queen who is served by all the female worker bees. 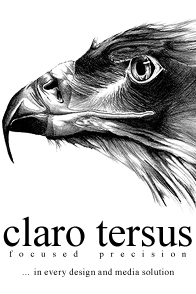 Over the course of her life, which is five to six years, she lays eggs every day producing hundreds of thousands of eggs. The worker bees are there only to serve the queen and have a life span of only five to six weeks during the active season (winter bees can live for a few months inside the hive). The drones exist only to exit the hive and inseminate other queens as the female worker bees do not have functional reproductive organs. While it would not occur to many people to start a hive as a way to make money, an increasing number of people see the financial opportunities that becoming a beekeeper presents. Mark Vadala , a Best Bees client from Gloucester, Massachusetts, plans to pass most of the honey from his hive along to the Cape Ann Brewing Company for a special honey pilsner brew that is made from all local products. Other clients are also making money from their hives either through sales of honey, beeswax and its products (lotions, lip balms, candles, etc. ), pollen for allergy therapy, royal jelly for its nutritional benefits, and bees themselves for the beneficial properties of stings on alleviating pain associated with arthritis and other inflammatory illnesses. Best Bees is a small start-up company based in Boston, Massachusetts. As the word spreads about the service they provide and the importance of the work they do, they are beginning to attract large and small customers in other New England states. You can get more information and contact Best Bees Company through their website.